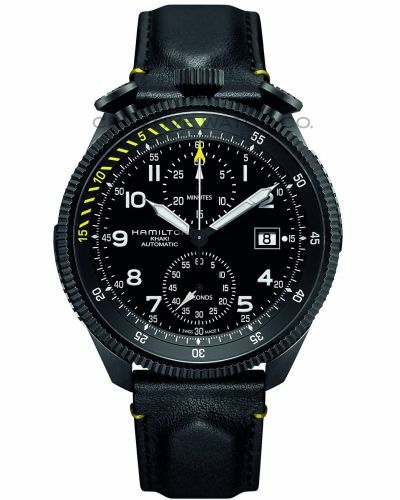 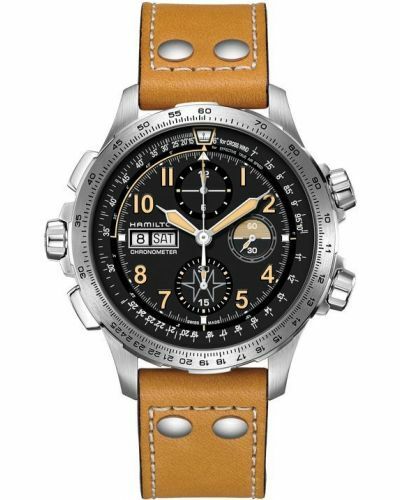 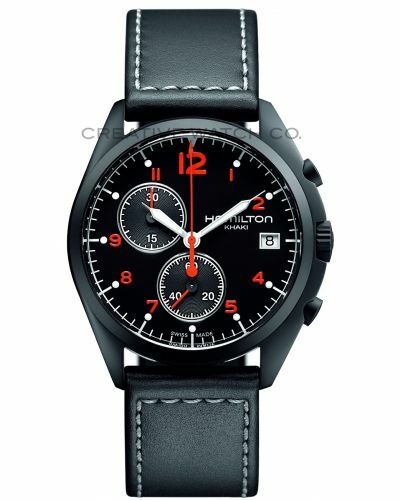 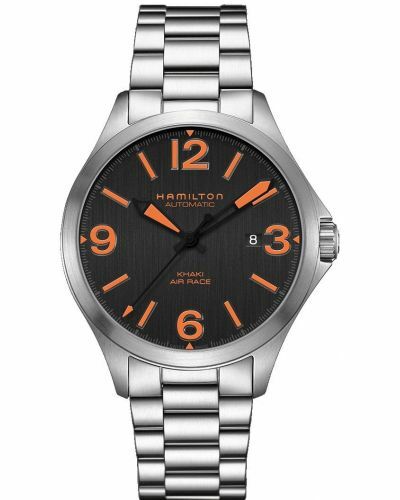 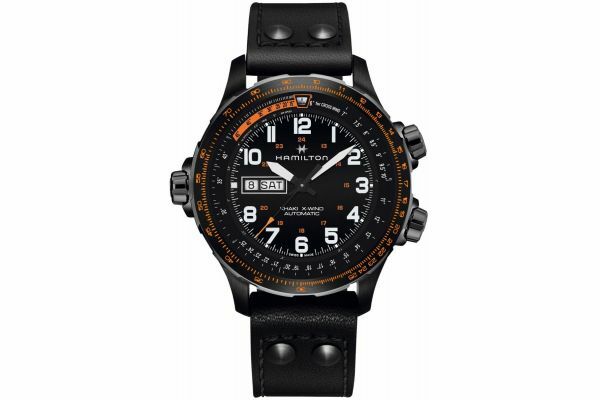 The Mens Hamilton Khaki X-Wind Day Date in all black with orange accents has a plethora of functions and features found within the entire Hamilton Khaki Aviation collection. 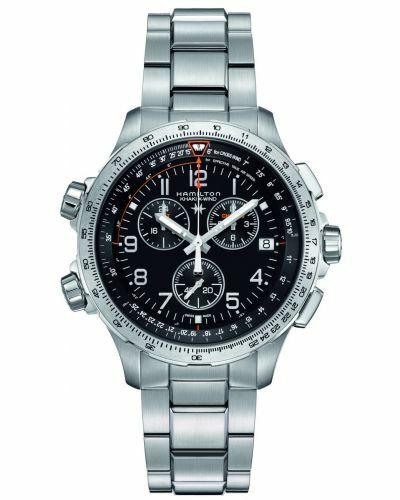 The Swiss Made automatic movement provides 80 hours of power reserve, giving life to the watch and its day/date display at the 9 o'clock position. 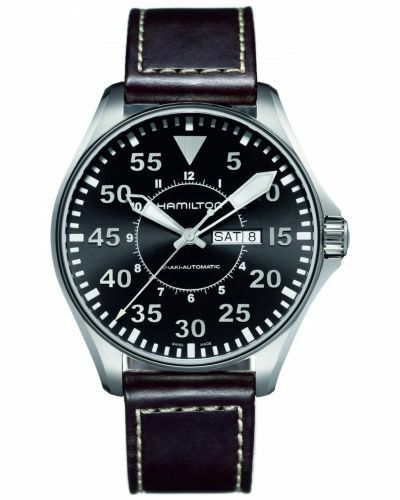 The indexes are coated with super luminova to give the wearer superb clarity in any and every situation. 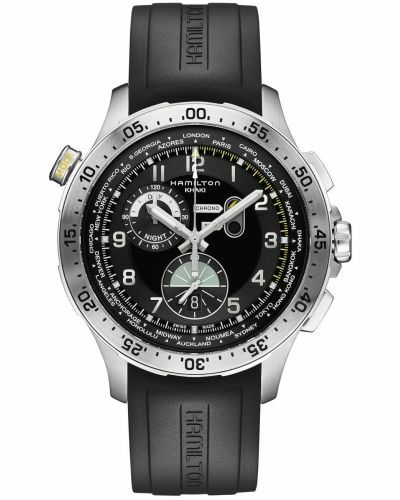 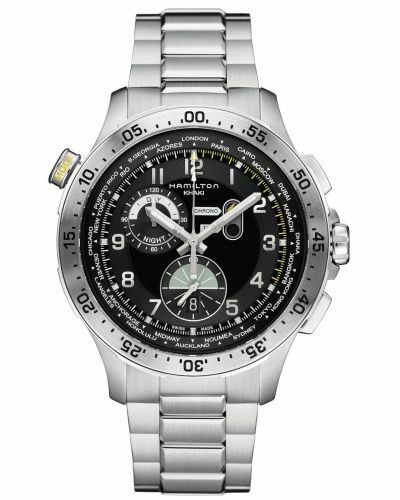 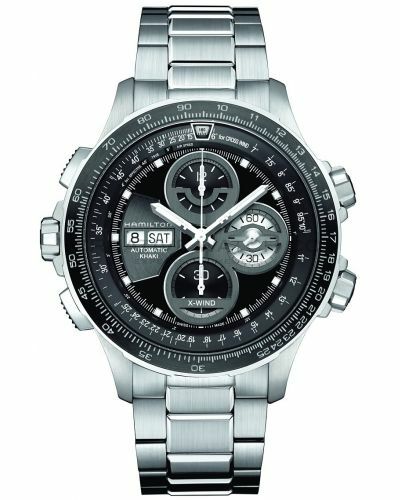 The dial is protected by anti-reflective sapphire crystal glass and is supported by a thick black genuine leather strap. 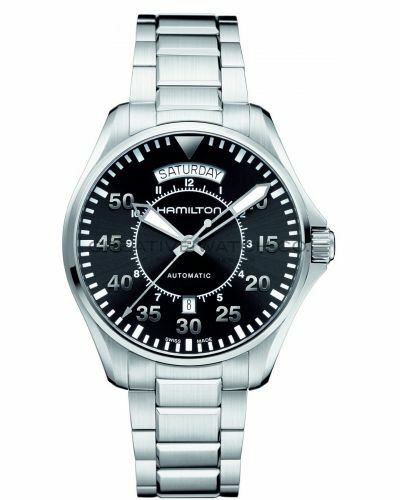 This watch comes with a 2 year Hamilton guarantee. 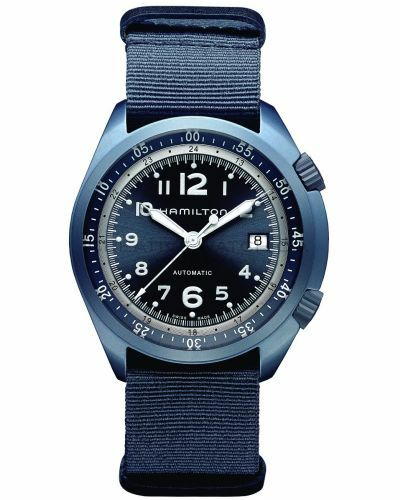 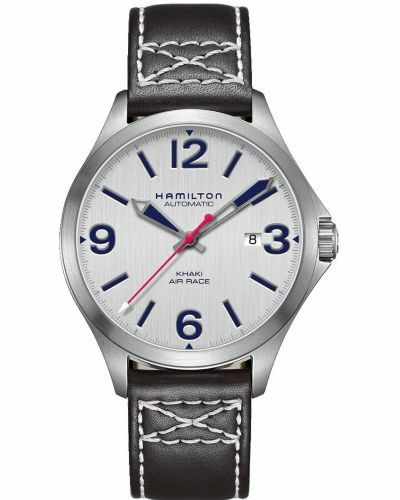 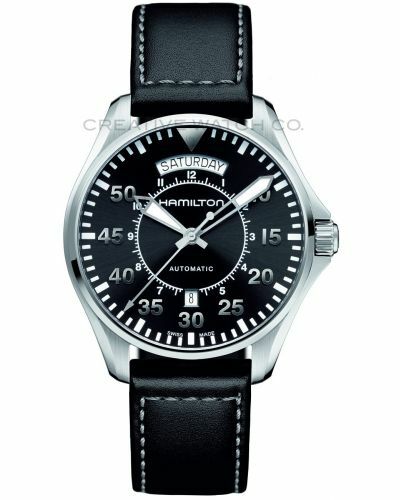 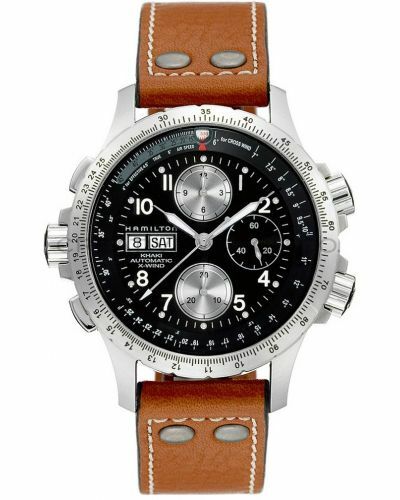 For us to size your new Hamilton Khaki Aviation watch as accurately as possible, please take a look at our downloadable Watch Sizing Guide.